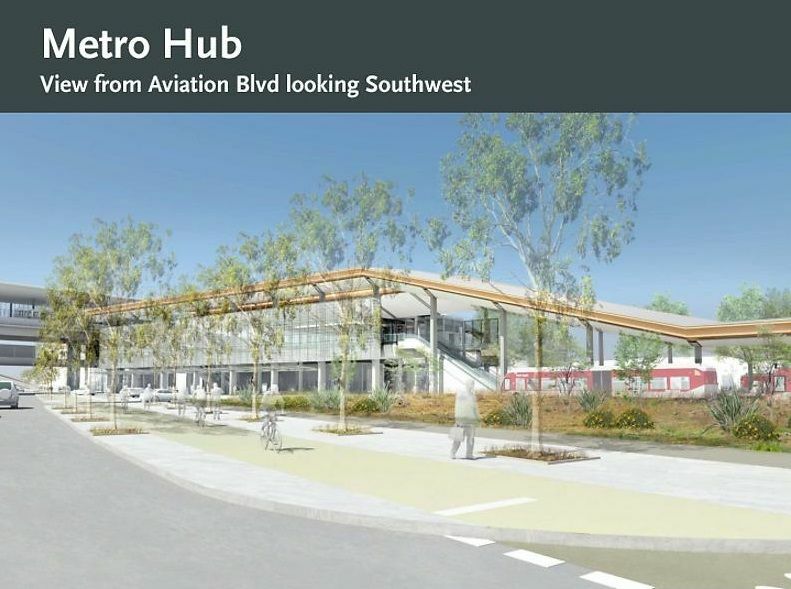 The plan for train service to LAX—something discussed when L.A. was a pueblo—is really, really happening. 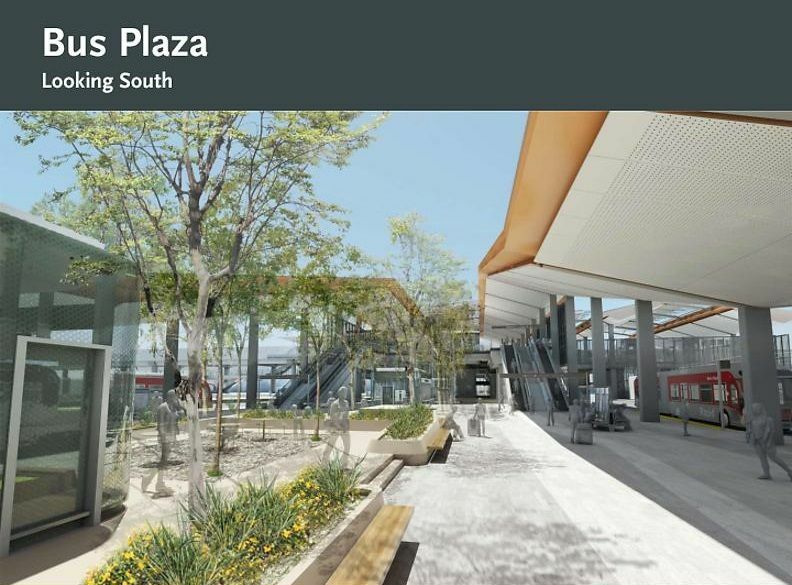 Metro released renderings of the future 96th Street station on the forthcoming Crenshaw Line and, frankly, they’re glorious. 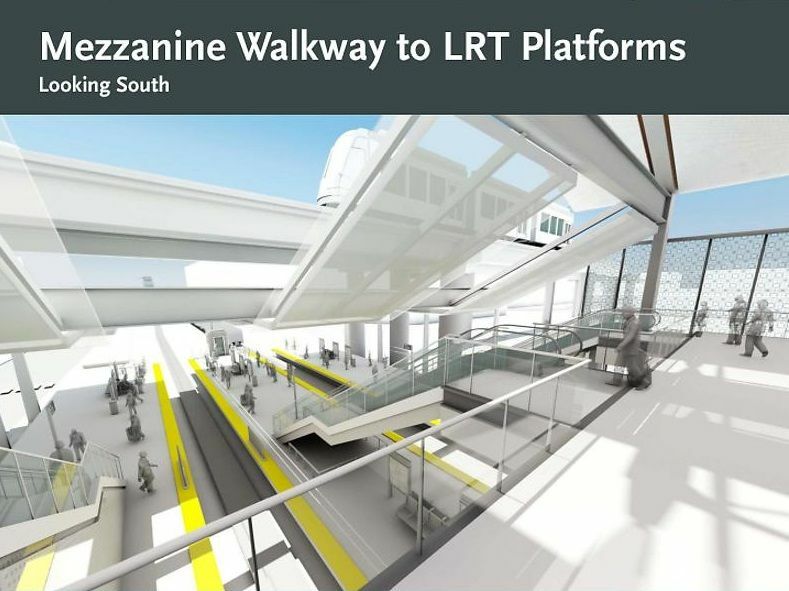 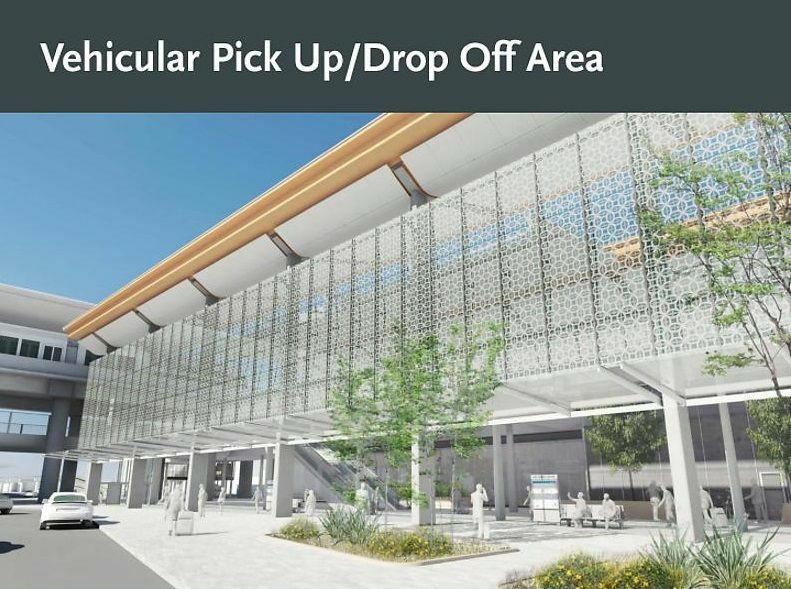 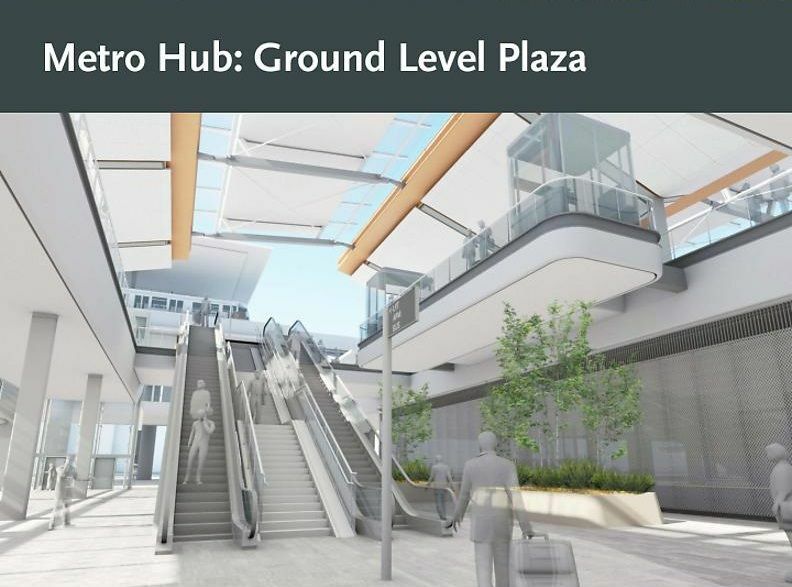 The images, via Metro’s The Source blog, show light rail riders disembarking on ground-level and ascending two floors to the automated people mover, which will transport fliers to three stations within the airport (the people mover will also connect to a centralized car rental area, which will significantly cut down on buses circling the terminals). 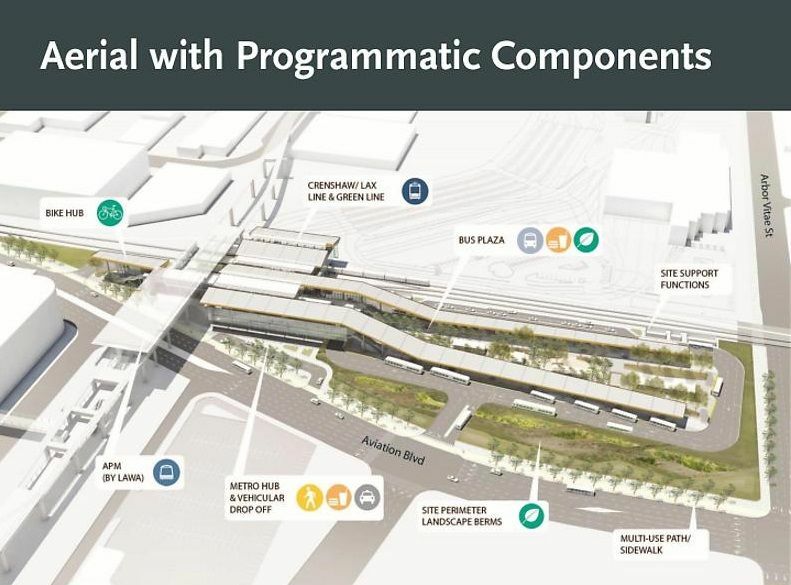 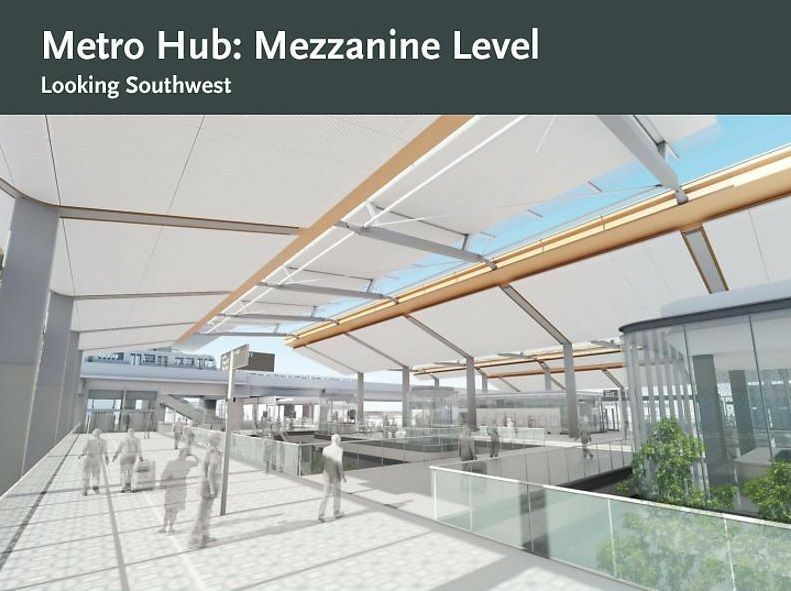 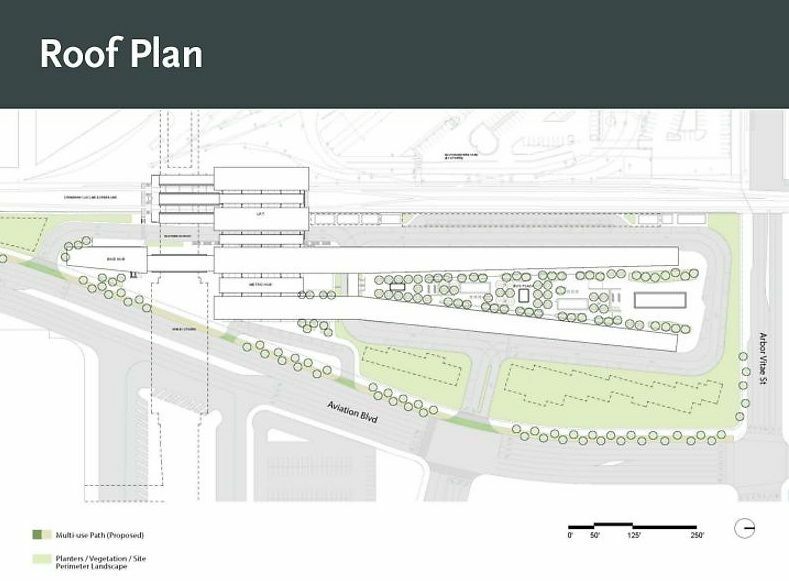 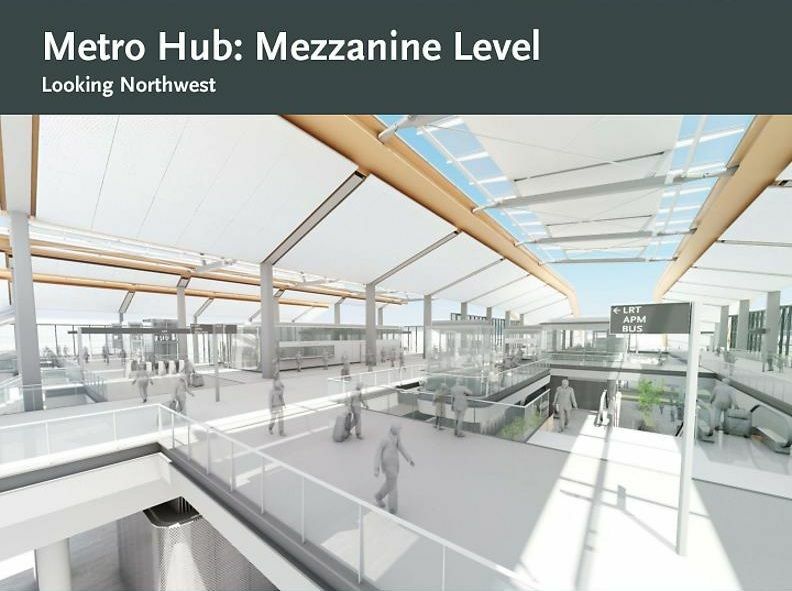 The 96th Street station will include a bike hub, a drop-off for ride-shares, and a mezzanine level, which appears to hold coffee and news kiosks. 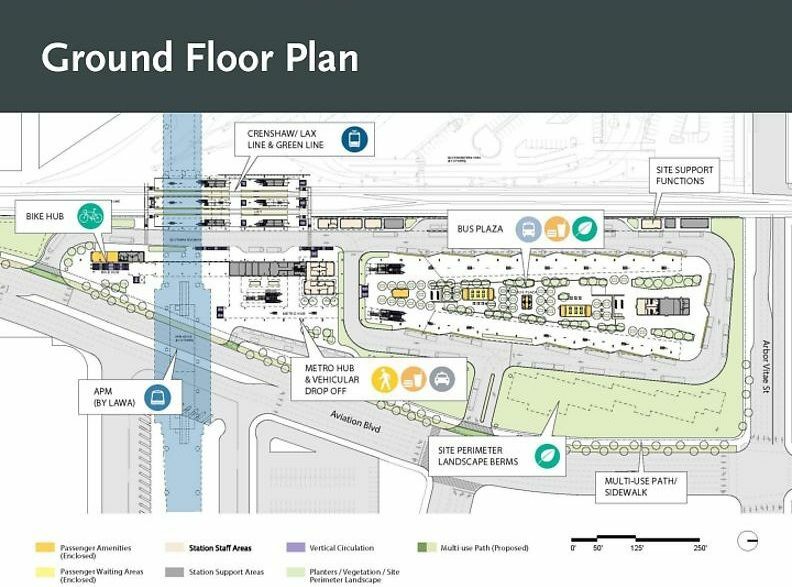 As mentioned previously, connecting to the people mover requires ascending an elevator or escalator, but that’s mostly standard (see JFK in New York). 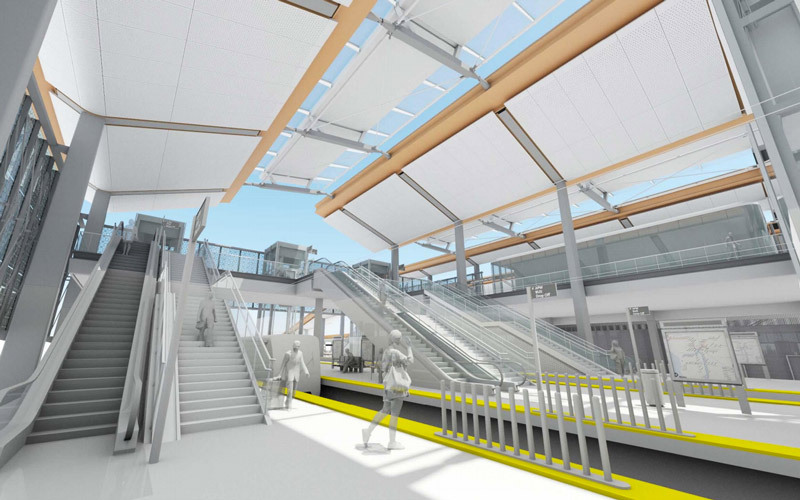 The renderings don’t offer a peek at the people mover level, oddly. 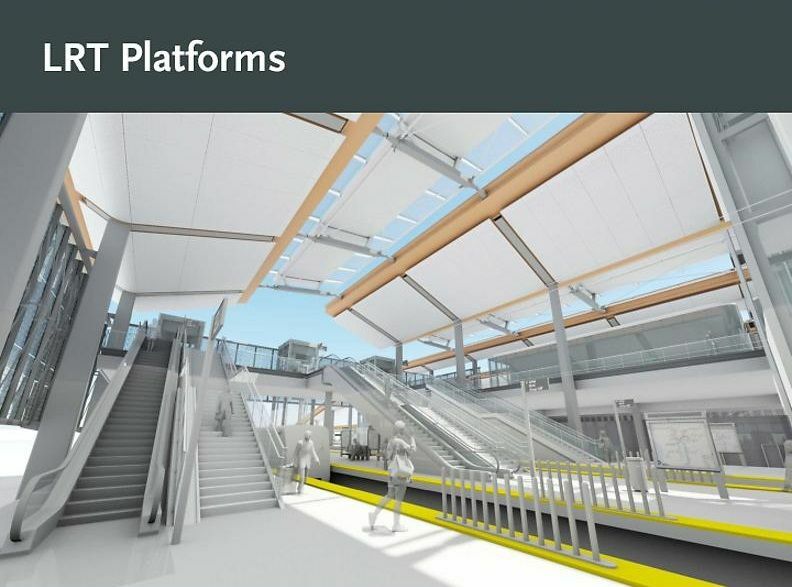 The good news though, is using the people mover is expected to be free. 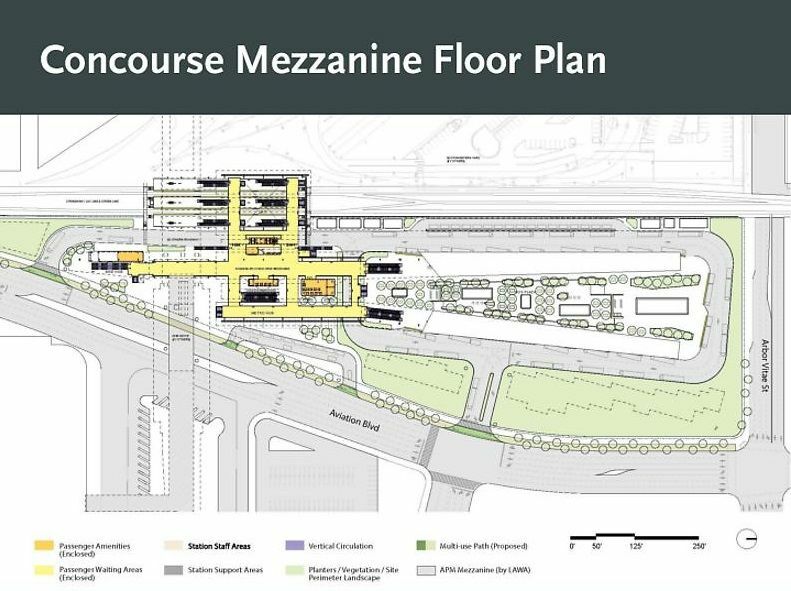 The bad news: It probably won’t open until 2023, four years after the Crenshaw Line cuts the ribbon. 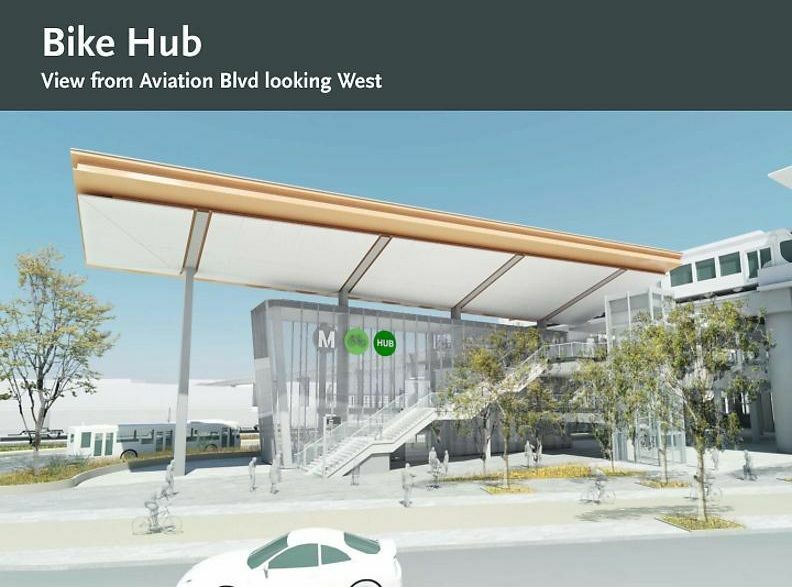 Next articleTwo of the World’s Most Influential Public Figures Just Dropped Mad Praise on L.A.